Millfields is a much larger than average primary school. 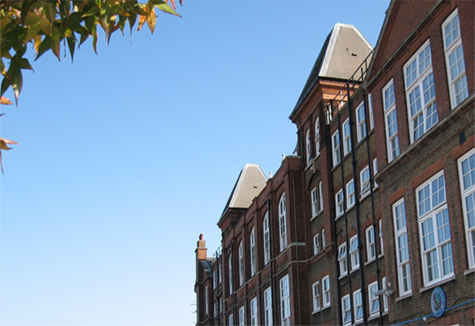 The school serves an area of significant deprivation and its pupils represent a very wide range of ethnic backgrounds, with the largest groups being those of Asian, White, Black Caribbean and Black African heritage. The community is culturally and ethnically diverse: some 8% of our pupils are Turkish, 6% African Caribbean, 66% White British, 11% from other white European backgrounds and the remainder are from a wide range of ethnic groups represented in smaller numbers. This means that the percentage of pupils from minority ethnic groups is more than twice the National average and therefore the school works hard to be culturally inclusive. We pride ourselves on being an inclusive school. Many pupils speak English as an additional language and a large proportion are at the early stages of learning the language. A small number are the children of refugees or those seeking asylum. Millfields Community School has been a UNICEF Rights Respecting School since 2004 and were re-accredited for the third time with Level 2 in July 2017. The UNICEF UK Rights Respecting School Award (RRSA) is based on principles of equality, dignity, respect, non-discrimination and participation. The RRSA seeks to put the UN Convention on the Rights of the Child at the heart of a school’s ethos and culture to improve well-being and develop every child’s talents and abilities to their full potential. A rights-respecting school is a community where children’s rights are learned, taught, practised, respected, protected and promoted. Young people and the school community learn about children’s rights by putting them into practice every day.